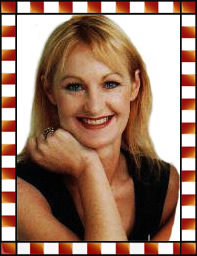 I originally started Marg's Beauty Spot Beauty Salon in 1994 and enjoyed the twelve years of great business and awesome clients in the Carlton Courts. After a break of four years, I now have a gorgeous new spot in Heathcote Valley. It's a home business which is perfect for my lifestyle. I look forward to welcoming both old and new clients for all your Thalgo facials, Brazilian and bikini waxing, and other beauty therapy treatments - take a look through my website and give me a call, text or email. I would love to hear from you! Rediscover the treasures of marine beauty care. Moisture quenching mask is a truly hydrating and relaxing 'skin bath'. The skin is saturated with active moisturising ingredients. Intensely quenched, it regains its smoothness and all uncomfortable tightness vanishes. A truly hydrating moisture treatment featuring active marine ingredients and vegetal milks combined with a unique mask to combat dehydration, improve skin texture, and leave the skin feeling soft and radiant. Recommended as a course of 6–12 masks. Let your skin regain its natural balance through the power of the sea. Ideal for combination, oily and problem skin types, this antibacterial rebalancing treatment, featuring Thalgo's patented micronised marine algae, delivers all its wealth of natural minerals, vitamins and marine extracts through a gentle purifying warmth. Your skin feels deeply cleansed, remineralised and beautifully matt. Perfectly hydrated, its healthy balance is restored. This treatment can also be adapted to treat all affected areas such as back and shoulders. A truly revitalising facial to remineralise and hydrate your skin. Incorporating our specific anti-wrinkle massage, marine algae mask, and nourishing ingredients your skin receives the ideal combination of anti-ageing, remineralisation and hydration. Suitable for all skin types. This fresh mask, for dry to very dry skin, melts into the skin to offer a true nourishing bath. Your skin is perfectly nourished and recovers suppleness and softness, while easing away sensations of tightness and discomfort. I only use hot wax on the most sensitive areas, ie Brazilian, bikini, underarm and facial waxing, to ensure maximum comfort to the skin while still removing the hair from the root. Waxing is recommended every 4–6 weeks. The manicure begins with a hand soak and exfoliation, filing and shaping of the nails and cuticle care, followed by massage of hands and arms, finishing with polish. A relaxing foot bath, removal of dead skin, filing and shaping of nails and cuticle care, massage of the feet and legs and finishing with polish.